As we approach the end of the year, the atmosphere seems to change: the air gets cooler; the lights seem brighter; and there tends to be a certain level of merriment. For some people, this time of the year also brings a sense of sorrow with it. It may be the first year without a loved one or following a substantial loss. 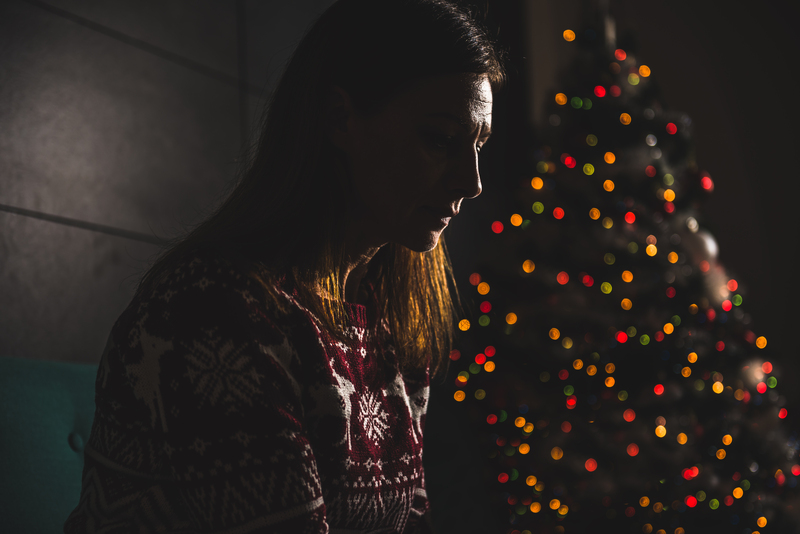 Each year, I speak with many clients about the “right” way to grieve or navigate the holidays. It has opened my eyes to the fact that not many people talk about how difficult or sad the holidays can be! I have come up with a list of a few things to remember or try to make this holiday season feel a bit more bearable. First and foremost, remember that there is NO right way to grieve. Think through what traditions you would like to keep as part of your routine. Decide if you need to make some new ones. Consider mixing things up. Take a “year off” and go on a trip. Meet at a different house. Decide, as a group, what the best way to celebrate would be. Make sure everyone has added their input. Express what you DO want to do for the holidays and what you DON’T want to do. Do something to honor the memory of the lost person. Light a candle. Prepare his or her favorite dish. Take the time to share your favorite stories about your loved one. Have your place of worship mention your loved one during a service. Make a donation to a charity in the name of your loved one. Pick a few items that were special to your loved one and give them to someone else as a gift. Get in touch with people you may not have seen in a while or spoken with. Journal if you are feeling particularly overwhelmed. Give yourself permission to take breaks as needed. If you need to go on a walk, cry, or occupy your time and mind- that’s okay! Make sure you drive your own car when you are going to holiday events so that you don’t feel trapped. Give yourself the space to come and go as needed. Talk to kids about sadness and the holidays. It can be confusing to experience a holiday after a loss so be honest about feeling both excitement and sadness at the same time. Pull out old photo albums and glance at photos of your loved ones. Don’t feel guilty if you minimize the gifts or skip the decorations. Allow yourself to be where you are. Leave an empty chair at the table to honor your loved one. Watch what you eat and drink. While it is tempting to eat and drink our feelings away, it can lead to us feeling worse and being more emotionally vulnerable. Allow others to help you. If you feel that you have reached your limit, as others to step in. Prioritize and don’t overcommit. It’s easy to put too much on your plate, especially during the holidays. Make sure you are practicing your limits. Go see a counselor to process through your emotions or go to a grief group to be with others in similar situations as you. While there are many more options available, these are some places that I like to start. Remember to give yourself permission and space to be sad. And as always, if you believe you or a loved one would benefit from counseling during this holiday season, reach out to the Summit at 678-893-5300.